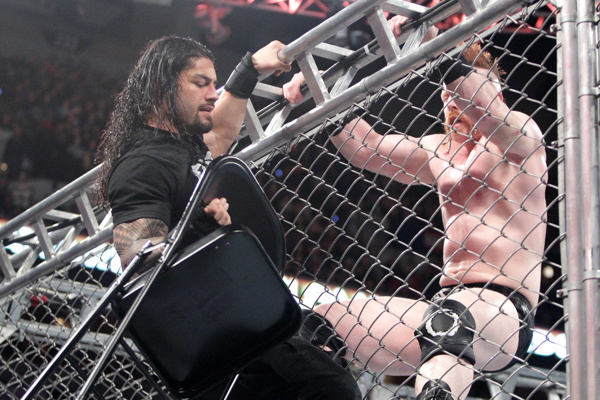 How will Reigns survive as the road to the Royal Rumble begins? WWE has survived the holiday doldrums that typically envelope the company?s product each year, and emerged with a new WWE World Heavyweight Champion and a resurgent evil chairman, Mr. McMahon. The promotion enters the lead-up to the Royal Rumble ? itself the kickoff to the Road to WrestleMania ? in a position that is better than where it was a month ago, but still with many question marks going forward. Sheamus? run as world champ is over, and it appears that WWE has finally gone all-in on Roman Reigns as the main guy rather than pussyfooting around about it. John Cena has returned from a two-month hiatus to bolster the star power on the show. Secondary players like Dean Ambrose and Kevin Owens are heating up with a rivalry that could be a show-stealer. And of course, the New Day is still ruling the tag team division. But there is a lot left up in the air right now. Sure, Reigns is the champ, but who will he face if he?s still on top come WrestleMania? How will Triple H factor into all of this? When will the part-timers who populate Mania these days make their returns? And more urgently, how will the Royal Rumble shake out? Some of that should start coming into focus Monday night with the first episode of Raw of 2016. Let?s take a look as some of the questions that should be answered on Monday?